Dementia is a term for mental decline that is severe enough to interfere with the activities of daily living. The most common type of elderly dementia is Alzheimer’s disease, but there are many other causes. Elderly dementia itself is not a disease, but it is a term that encompasses a wide range of symptoms. It can be difficult to decide when a loved one with dementia should no longer live on their own. Many people with various forms of elderly dementia can live independently for years with the right support and memory aids. They are no longer sending letters of birthday cards regularly. They have stopped initiating phone calls. They are in a hurry to get off the phone every time you talk. They are making calls at strange hours for non-emergencies. Their weight is changing without explanation. They don’t dress appropriately for the occasion or the weather. Their clothes do not look clean or they smell. Having the utilities turned off because the bills are not paid. Evidence of donations to charities your loved one does not have a history of supporting. Robbery caused by doors being left unlocked or because of people they are letting into their home. Getting lost of wandering off. One of the most important considerations is whether the senior care facility you choose cares for people with all stages of dementia. You don’t want to place them somewhere and then have to move them again when their disease progresses. This could be both frightening and heartbreaking, so make sure they can stay in their new Costa Mesa or Yorba Linda home for the rest of their lives. You want to choose a senior care facility where the staff is specifically trained to care for individuals with dementia, and they can handle the associated behaviors such as combativeness and sun downing. There should be specific safety precautions in place for these patients to prevent them from wandering, and these can include locked dementia units or personal monitoring systems. The majority of families pay for their loved one’s residential care themselves. There are benefits that cover residential senior care, and those include long-term care insurance, Veterans benefits, and Medicaid. Medicare only pays for short-term skilled care and does not pay for the cost of long-term residential care. At Senior Home Advocates, we have the expertise and experience to help you make the best decisions possible for your loved one with elderly dementia. We’re a comprehensive senior care agency, and we’ll be with you every step of the way. There is a wide variety of incontinence products available out there and it can be hard to figure out which solution is best for your senior. Factors such as activity level, level of protection needed, gender, and size should all be taken into account when considering products. Here is a brief description of some different products that can be helpful when trying to make a decision. Diapers and briefs: These products are highly absorbent and are secured by side fasteners. The side fasteners are ideal if your senior needs assistance getting them on and off. Because of their high absorbency, these are ideal for seniors with heavy to complete loss of bladder or bowel control. Diapers and briefs are generally recommended for elderly individuals with little to no activity. Adult Pull-Ups: These products have the same absorbency as diapers and briefs, but are ideal for a more active and independent individual. Instead of being secured with side tabs, they are pulled on and off, like you would with regular underwear. These are close fitting and discreet, which provides maximum protection against leaks for active individuals. These products are recommended for seniors with little to no bladder control, but wish to continue an active lifestyle. Reusable Underwear: Reusable underwear may be a good option for active seniors with light to moderate loss of bladder control. Similar to adult pull-ups, they provide full coverage and maximum leak protection. They are softer and more comfortable than the disposable pull-ups, but tend to be bulky and less absorbent. Undergarments: This category includes both beltless undergarments and belted shields. These products are discreet and provide high leakage protection. Beltless undergarments are worn inside of underwear, while belted shields can be worn inside of underwear or replace it completely. Both options are less bulky than adult pull-ups and reusable underwear are recommended for seniors with little to no bladder control. Shields, Liners, and Pads: These are a variety of products that all serve the same purpose. They are all ideal for an independent, active individual with moderate to light loss of bladder control. They are form-fitting, discreet and are placed inside of underwear. They feature adhesive strips to help hold them in place and are easy to remove and replace. Underpads: These products simply provide additional protection to bedding, sofas, chairs, and other surfaces. These absorbent pads are flat and rectangular and simply go underneath the individual and on top of the surface they are sitting on. The can be useful for seniors with all degrees of incontinence. Mattress Covers: These are similar to underpads, as they just provide the bed with another level of protection against leakage. Mattress covers are quilted, waterproof sheets and recommended for all levels of incontinence. Skin Care: Regardless of what products your senior is using, having the right skin care products is crucial. Urine can be harmful to the skin, which can cause injuries and infections over time if the skin is not properly cared for. Some important products in the skin care category includemoisturizing creams and skin cleansers. The moisturizing cream provides protection against skin breakdown and promotes healing for damaged skin. The skin cleansers and incontinence washcloths are used to clean, neutralize, and deodorize skin from urine, while being gentle and not doing any further damage. There are many ways to prevent and treat the damage caused by incontinence. We at Senior Home Advocates are committed to providing excellent service and quality products to the seniors and the families we serve. 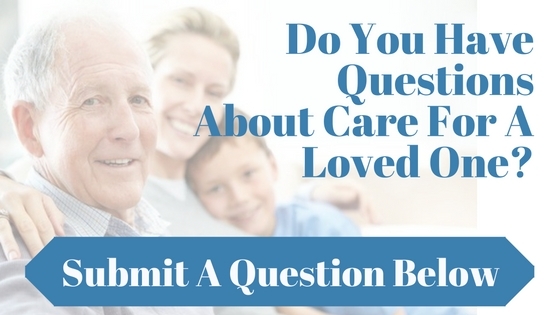 To learn more detailed information on how to care for your incontinent loved one download our free Educational eBook or call (714) 921-9200. What are the Health Risks Associated with Incontinence? How does incontinence damage the skin? Urinary incontinence is a loss of bladder control and if not treated properly, can damage the skin. When skin is exposed to moisture and urine for long periods of time, it loses its ability to protect against friction, bacteria, and fungus. Extended exposure to urine can raise the skin’s natural pH levels, and those higher levels can actually encourage the growth of bacteria. The excess moisture will also lower the skin’s temperature and reduce skin’s blood flow when under pressure. What injuries can incontinence cause? Incontinence-Associated DermatitisThis is caused by repeated exposure of skin to urine that results in skin inflammation. This can manifest in a variety of ways, including redness with or without blisters, erosion, and the loss of the skin’s barrier function. The injured skin may also have induration, or be firmer than the surrounding tissue. In addition to being very painful, the skin loses its ability to protect itself and surrounding tissue. The moisture from the urine causes the skin to become over-hydrated and when the skin contains too much moisture it is not longer to act as an effective barrier. Pressure Ulcers: Pressure ulcers are formed when there is continuous pressure being placed on part of the body. The pressure prevents a constant blood supply, which contains oxygen and nutrients, from reaching the tissue. Without these nutrients, the tissue is damaged and will eventually die. The lack of a constantblood supply means that the ulcer is also vulnerable to infections. The amount of pressure being applied and the skin’s vulnerability to damage will determine how long the ulcer takes to form. Incontinence increases the risk of developing pressure ulcers because the moisture from urine can break down the epidermis, the outer layer of skin, and because moisture reduces skin’s blood flow, which we mentioned earlier. Maceration: Maceration is when the skin becomes waterlogged due to overexposure to moisture. When incontinence causes maceration, the skin becomes very fragile and can be damaged from friction, shear, and pressure. Macerated skin is so fragile that gentle rubbing from bed linens and wash cloths can cause injury. Bacterial Infections: Incontinence allows the surface of the skin to come into contact with urine and other waste products. Urine contains ammonia, which raises the pH of skin and can serve as a source of nutrition for bacteria. Bacterial infections can be especially dangerous for the elderly with dry skin because skin cracks and fissures can absorb micro-organisms. Fungal and Yeast Infections: Seniors with incontinence are at high risk for fungal and yeast infections. When the skin is exposed to urine, it creates a warm, damp environment, which is ideal for fungi. Fungal infections will result in a skin rash that itches, burns, and fiery red and are usually found in skin folds. Is Your Family Resisting Getting Senior Care? It’s more common then you might think… mom or dad now need senior care but you can’t get it done because your sibling is fiercely resisting all of your efforts. Probably over 50% of the families we see at Senior Home Advocates are stymied because their family members are fighting with each other. The adult children usually haven’t communicated in a long time and are suddenly thrown into a stressful situation that takes true cooperation and family conflict resolution. Many siblings simply can’t accept each other’s ideas…it’s a little bit of “not invented here” syndrome or one sibling is resented because they were the”favored” child or maybe one has been financially mooching off of mom and simply can’t be trusted by the others. First thing to remember is that nobody is adequately prepared for the challenge of having to arrange for an aging parent’s care. It’s not talked about in our schools, our churches, or our popular media and yet we all have parents! Take comfort in knowing that you’re not the only family resisting getting senior care or going through this; there are millions of others facing the same challenge as you are right now. Next, seek out help and don’t try to do this alone. You need someone in the middle when siblings are at each other’s throats. You can deal with family conflict and have a positive successful result. Professional case managers have lots of experience in dealing with how to defuse these situations. At Senior Home Advocates we have found that the best technique is to call a family meeting and let the financial facts do the talking. There’s something about having an outside party with facts and figures that makes everybody willing to lower their defenses and listen. We use a simple tool that compares each possible care scenario side by side. By seeing how the finances change for each scenario and how certain government financial benefit programs would work under each possible scenario, families have the information they need to make a joint decision…because with the right information, the right answer becomes fairly obvious. A family meeting with a professional – acting as a third party creates an environment where a decision can be made “then and there” and witnessed by each other. After that, the case manager plays a critical role in answering questions as the care plan is implemented or the care needs change. In many cases when a well trained care manager is involved, families can actually experience some positive growth in the relationship they have with each other. At Senior Home Advocates we provide you with an initial consultation that is free of charge and will give the whole family a chance to experience how effective our techniques can be in breaking any log jams they might be experiencing. You can arrange for an initial consultation by calling us at (714) 793-0527 and we will set an appointment that is convenient for you.